Learning that you are pregnant for the first (or second or third or even forth) time can be a scary but exciting and exhilarating time. When you finally let it sink in that there is a small human growing inside of you and will soon be in your arms, it’s time to start thinking about what you need. After thinking about the cot, the pram, the car seat and the carrier. 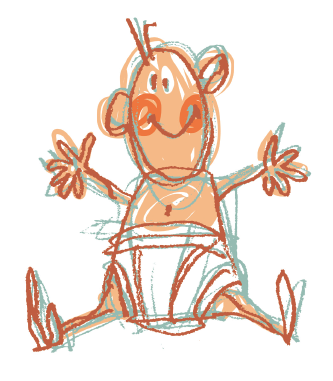 The clothes, the bath, the bassinet and the toys, most parents will start to think about the nappies. If you have thought about using cloth nappies (good chance considering you are here! ), the next question is which sort? Do you go old school and stick with traditional nappies or do you use a modern cloth nappy? Today I thought I would explain all the different types. As an added bonus, if you don’t want to read about them, Vicki and I have recently begun recording a Podcast and episode 1 is just this. You can listen to us discuss the benefits of each style here. The traditional flat nappy is still loved by many parents for its versatility. Made of bamboo, muslin or terry cotton a flat nappy can be folded in a variety of ways to fit your baby no matter how big or small they are. They are secured with a nappy fastener and covered with a waterproof cover. Flat nappies are the quickest drying option available and the most affordable and versatile nappy system. Full time cloth nappy users will find it extremely handy have a collection of flats in their stash. Big Softies Terry Towelling Nappies make a great staple in any new parents home. Prefolds are a modern variation of a flat nappy. A prefold can be made of bamboo or cotton and consists of two main layers with three or four extra layers sewn through the centre panel for added absorbency. Despite the name ‘prefold’ the nappy still requires some basic folding but not to the same extent as a flat nappy. It can be fastened with a nappy fastener or laid directly into a well fitting cover. Pre-folds are a trim bulk free option for newborns, dry reasonably quickly and can be used as additional boosting for pocket nappies, flats or night nappies when your baby has outgrown them. Prefolds will fit most babies from birth and can be used all the way through to toilet training. Fitted nappies are shaped like a disposable and are available in a wide range of fabrics such as hemp, hemp & bamboo, bamboo velour and cotton. They feature elastic in the legs and waist to ensure a snug and comfortable fit. Usually these nappies are fastened with hook and loop (Velcro) or snaps but some brands are secured with a nappy fastener to ensure a versatile fit. Available in different sizes to give a great trim fit or in one size that adjusts as baby grows. Fitted nappies often have a snap in or fold out layer to assist with quick drying. Fitted nappies offer great wearability as the entire nappy is absorbent. They are a popular choice for newborns as they offer double leak protection when teamed with a snug fitting cover and at nights. They require a separate nappy cover to make them waterproof. Fitted nappies are shaped to go on easier and generally have elastic in the legs. All-In-Ones are a Modern Cloth Nappy (MCN). Shaped like a disposable an all-in-one has the waterproof outer and absorbency layers built into the one piece. This nappy type is simple and quick to take on and off and requires no folding, pinning or snapping. As all the layers are sewn into the nappy an All-In-One generally takes longer to dry. Some all in ones have their absorbent layers in a snap in or fold out style which helps to make the drying time quicker. All in Ones (AIO’s) are just like a disposable with the only difference being that you wash them. All-In-Twos are also a Modern Cloth Nappy (MCN). Shaped like an all-in-one this nappy type is also simple and quick to take on and off as the waterproof and absorbent layers are constructed as one piece. However unlike an all-in-one an all-in-two system allows the absorbent layers to be removed from the nappy. This enables you to swap absorbent inserts mid nappy change or use the waterproof shell of your nappy with additional insert sets whilst the original insert sets are drying. This is a great choice of nappy if you’re planning on having more than one child as you can purchase additional insert sets for subsequent children rather than purchasing an entire nappy. Many new nappies are coming on to the market are designed to be used with absorbent inserts made of cotton, bamboo or hemp or compostable / disposable absorbent pads. Many manufactures are calling these hybrid nappies. They are designed to have multiple inserts taken in and out of a single waterproof shell and multiple uses. An All in Two (AI2) cloth nappy allows you to remove the inserts for faster drying and greater flexibility. Pocket Nappies are the original Modern Cloth Nappy (MCN). Similar to an all-in-two a pocket nappy offers a one piece nappy without the long dry time. They are shaped and have a waterproof outer layer with an absorbent or stay dry inner layer. An opening allows you to stuff an absorbent insert between the two layers. 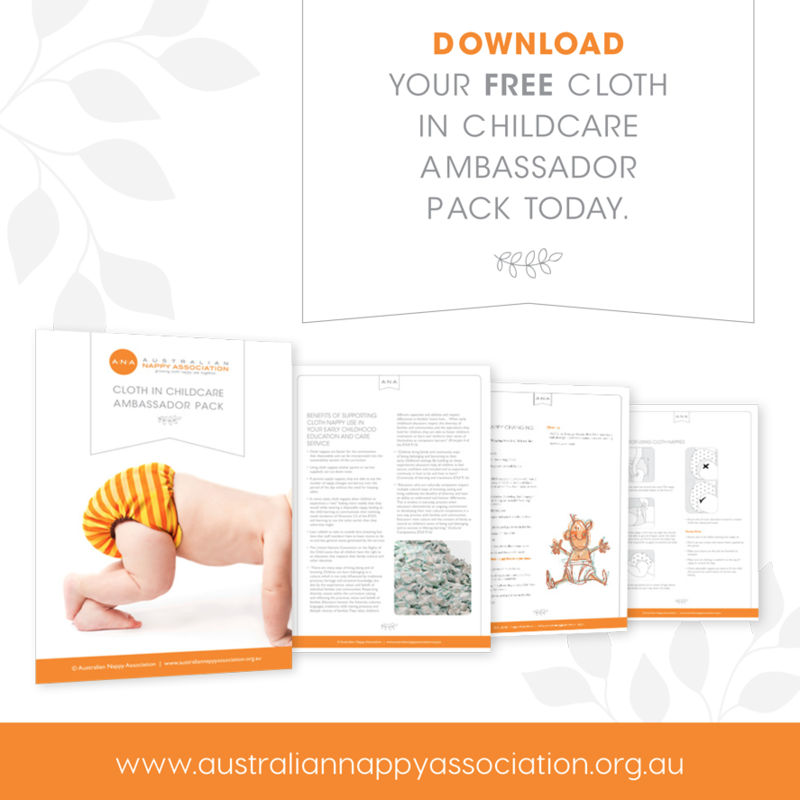 Pocket nappies give you the ease of an AIO but the quick drying of an AI2. So, whether you choose to go traditional or would prefer something more modern, cloth nappies can provide you with exactly what you need!